For the Doctor Who episode, see Last Christmas (Doctor Who). For the British film, see Last Christmas (film). In music, a chorus effect occurs when individual sounds with approximately the same time, and very similar pitches converge and are perceived as one. While similar sounds coming from multiple sources can occur naturally, as in the case of a choir or string orchestra, it can also be simulated using an electronic effects unit or signal processing device. 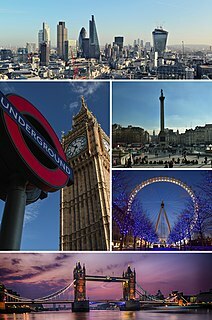 Advision Studios was a recording studio in Fitzrovia, Central London, England. In 2009, the song re-entered the Spanish Lista de Canciones (singles chart) at No. 9. In the Netherlands, the song never reached No. 1, peaking at No. 2 in January 1985 (behind Band Aid's "Do They Know It's Christmas?"). In the Dutch Singles Top 100 (one of three charts in the Netherlands that claims to be the "official" chart, but it is the only one that is not broadcast and remains unpublished except on its own official web page), the song has now entered on 16 different occasions, including every year since 2006. Its highest position after 1984 was No. 5 (during the 2007 Christmas season). In the Dutch Mega Top 50 (which was first published in 1993), the song re-appeared in 1997, 2000, 2007, 2008, and 2013. The video to "Last Christmas" shows Wham! members George Michael and Andrew Ridgeley accompanying girlfriends to see friends at an unspecified ski resort: the cable-car that can be seen in two shots is from Saas-Fee, Switzerland, where the video was filmed. It becomes clear early on that the character of Ridgeley's girlfriend (played by model Kathy Hill)  was previously in a relationship with Michael and that the song is aimed at her. She can be spotted throughout the video by the fact that she is usually wearing red, but everyone else is wearing more muted colors. There is a brief flashback to "last Christmas", showing Michael's character presenting her with a jewelled brooch. In the present time, Ridgeley is wearing the brooch, suggesting that the girl gave the same gift (perhaps by regifting it) to her new love after she and Michael parted ways. When the girl wears the brooch from Michael's character, it is "right side up", and when Ridgeley's character wears it, he wears it "upside down". On numerous occasions, Michael presents a thoughtful expression, suggesting his conflicting emotions. The full original mix and vocal of "Last Christmas" has never been released in its entirety. In 1984 it was two edits of the song that were released: one (the shorter of the two) on the regular (4:24) 7" format and the other (the longer of the two, though missing a verse) on the original (4:45) Japanese 12" and promotional Spanish 7". A remixed version with partly re-recorded and additional vocals was used for the regular 12" format and entitled the "Pudding Mix". When the single was re-released in 1985, an edited version of the Pudding Mix was used for the regular 7" and this version has been used on all subsequent re-releases. It is the 1985 7" version (the edit of the 1984 12" Pudding Mix) that is now the most common to find on "various artists" compilation albums (as well as George Michael's Twenty Five hits compilation) and the most widely known version. The full Pudding Mix has been featured on several compilations (including the Wham! hits compilation albums The Final and If You Were There (The Best of Wham) ). The edits of the original 1984 recording are less widely available, although the longer version was used in early 1985 on the second regular 12" format of the "Last Christmas/Everything She Wants" double "A" sided single (once the latter started becoming the focus of promotion, following the end of the Christmas season) and has occasionally been used on "various artists" compilation albums. The shorter edit (as used on the original 7") has not been released since and therefore has never appeared on the compact disc format. Note: "Last Christmas" and "Everything She Wants" were a double "A" side for these releases. The second 7" and 12" were released in early 1985. In some countries, the longer edit of "Last Christmas" from 1984 (duration listed as 4:34) was used on side two of the second 12". Note: The only difference between the 1988 and 1989 reissues is the text on the back of the record sleeves which reads "Christmas '88" and "Christmas '89" respectively. In the UK, the following single planned after "Close to You" was "Big Time"; however, it was suggested that Whigfield should record a version of "Last Christmas" to go with the release of "Big Time", as a double A-side single. The single was also released as a double A-side single in Germany with "Close to You". 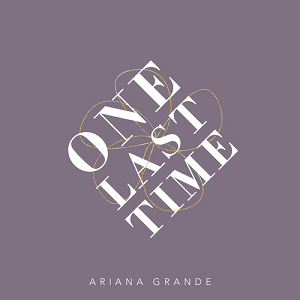 In other countries, "Last Christmas" was released on its own with various remixes. The single reached number 21 in the UK, which was Whigfield's final release on Systematic Records. It also features on various Special Edition versions of her debut album Whigfield and also on Whigfield II . The EP was released on 10 November 1995 in Australia. A UK single was released on 3 December 1995. The music video for "Last Christmas" was directed by Italian director Giacomo De Simone. (1999) "Honey to the Bee"
Billie Piper originally recorded a cover of the song as a B-side of her single "She Wants You". It was released as CD single in limited areas of Europe, and did not chart in any country. The single was also released as a promotional vinyl single in the UK, limited to 500 copies and therefore could not chart there. "Last Christmas" was released as a single by Jimmy Eat World in 2001, following the band's breakthrough hit album Bleed American . The B-side was a cover of "Firestarter", by The Prodigy. "Last Christmas" was covered by Hilary Duff as part of her debut album, Santa Claus Lane. "Last Christmas" was recorded in 2006 for Warner Bros. Records by Ashley Tisdale. The song was released to US radios on 11 November 2006 and as a digital download on 21 November 2006. This song was the first single released by Ashley Tisdale in her deal with Warner Bros. Records and became her official first holiday single. Tisdale performed the single in 2007 on Macy's Thanksgiving Day Parade and Christmas in Rockefeller Center , and in 2009 in the Citadel Outlets of Los Angeles, California. The song was one of the B-sides on the European CD singles of Tisdale's first single "Be Good to Me" and Tisdale's second single "He Said She Said", from the album Headstrong . The song has been included on several compilation albums, including Disney Channel Holiday and A Very Special Christmas 7 . 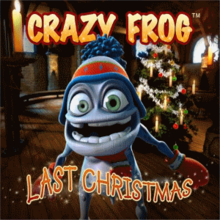 (2006) "Crazy Frog in the House (Knightrider)"
"Last Christmas" was covered in 2006 by Crazy Frog and released as a Christmas single. In Belgium, the Netherlands, Australia, New Zealand, Sweden and France, "Last Christmas" was released 12 months before in other countries. (2007) "What Hurts the Most"
"Last Christmas" was recorded in 2007 by Cascada. It was released on iTunes in November 2007. The single had only a digital release but six days later, it was released on the single "What Hurts the Most" which was the first single from their second album. In the UK, despite it being a B-side track, the song is regularly played throughout music channels during the festive season. The two official music videos got more than 60 million views on YouTube combined. It was released as part of their Christmas album, It's Christmas Time . * Based on downloads alone, but did chart at number 10, as it was the B-side to "What Hurts the Most". This file has been proposed for deletion and may be deleted after Sunday, 14 January 2018. View file page to object. (2011) "Here's What I Believe"
British singer Joe McElderry covered the song in 2011. This version was released as a single on 19 December 2011,  an EP was also released digitally in Ireland on 4 November 2011, and in the UK on 7 November 2011. Joe McElderry's version is taken from his third studio album, Classic Christmas , released 28 November 2011. 7th Heaven Remix & Production have done a remix for the song. Gwen Stefani, on her 2017 album You Make It Feel Like Christmas . Rita Ora, in the BBC Radio 1 Live Lounge on 11 December 2017. It was later included on the album The Sound of Christmas: Live & Exclusive at the BBC, released on 30 November 2018. Andrew John Ridgeley is an English singer, songwriter, and record producer. He is best known for his work in the 1980s as a member of the musical duo Wham! 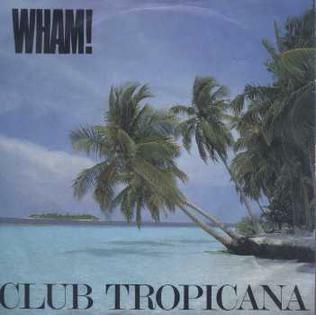 "Club Tropicana" is a song by British pop duo Wham!, released in 1983 on Innervision Records. It was written by members George Michael and Andrew Ridgeley. "I'm Your Man" is a song by British pop duo Wham!, released in 1985 on Epic Records in the UK and most of the world, and Columbia Records in the US. It was written and produced by George Michael. "The Edge of Heaven" is a song by British pop duo Wham!, released on Epic Records in 1986. It was written by George Michael, one half of the duo, and was promoted in advance as Wham! 's farewell single. "Big Time" is a song by Whigfield, and the single was released in July 1995, by X-Energy Records. It peaked at #21 in the UK charts, giving her another big hit in that country. For the British market Big Time was released as a double A-side single together with the song Last Christmas, a cover of the English duo Wham!. Carly Rae Jepsen is a Canadian singer, songwriter, and actress. Born and raised in Mission, British Columbia, Jepsen performed several lead roles in her high school's musical productions and pursued musical theatre at the Canadian College of Performing Arts. After completing her studies, she relocated to Vancouver and later competed on the fifth season of Canadian Idol in 2007, placing third. In 2008, Jepsen released her folk-influenced debut studio album Tug of War in Canada. "Call Me Maybe" is a song recorded by Canadian singer-songwriter Carly Rae Jepsen for her EP Curiosity (2012) which also appears on her second studio album, Kiss (2012). The song was written by Jepsen and Tavish Crowe as a folk song, but its genre was modified to pop following the production by Josh Ramsay. It was released as the lead single from the EP on September 20, 2011, through 604 Records. Jepsen was signed to Schoolboy Records, releasing her single in the United States through the label, as the first single from Kiss. 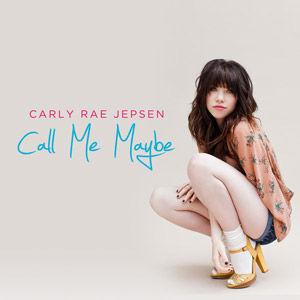 Musically, "Call Me Maybe" is a pop and teen pop track that alludes to the inconvenience that a love at first sight brings to a girl who hopes for a call back from a new crush. Canadian singer and songwriter Carly Rae Jepsen has released three studio albums, two compilation albums, three EPs, 20 singles and sixteen music videos. In 2007, Jepsen finished third in the fifth season of the talent series Canadian Idol. She subsequently signed a recording contract with Fontana and MapleMusic. "Good Time" is a song by American electronica project Owl City and Canadian singer Carly Rae Jepsen. It was released as the lead single from Owl City's album The Midsummer Station and was used as the second single from Jepsen's second studio album, Kiss. "Good Time" was written by Matt Thiessen, Brian Lee, and Adam Young of Owl City. The song received generally positive reviews from music critics, with critics describing it as a "summer anthem". "I Really Like You" is a song recorded by Canadian singer Carly Rae Jepsen for her third studio album, Emotion (2015). It was written by Jepsen, Jacob Kasher Hindlin, Peter Svensson, and Steve DaMar; and produced by Svensson. The song was released as the album's lead single on 2 March 2015. "Run Away with Me" is a song recorded by Canadian singer Carly Rae Jepsen for her third studio album, Emotion (2015). It was written by Jepsen, Mattias Larsson, Robin Lennart Fredriksson, Oscar Holter, Shellback, and Jonnali Parmenius and produced by Mattman & Robin and Shellback. 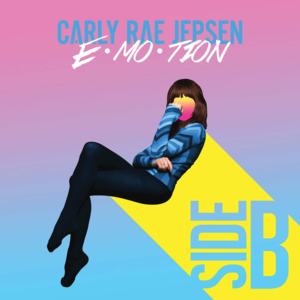 Emotion: Side B is the second extended play (EP) by Canadian singer Carly Rae Jepsen. It was released on August 26, 2016, by 604 Records in Canada and School Boy Records and Interscope Records in the United States. Jepsen developed Side B as a companion piece to her third studio album, Emotion (2015), in response to fan demand. Side B features unreleased songs that were cut from the original effort. ↑ Last Christmas (Media notes). Wham!. CBS Records. EPCA 4949. Made in Holland The Dutch-manufactured pressing contains the names of the band and of the song. 1 2 3 4 5 6 7 8 Rachel, Aroesti (14 December 2017). "Still saving us from tears: the inside story of Wham! 's Last Christmas". The Guardian. Retrieved 24 December 2018. 1 2 "The philanthropic acts of George Michael: from £5k tips to nurses' gigs". The Guardian. 7 January 2018. 1 2 Myers, Justin (14 June 2018). "The UK's biggest selling singles of all time". Official Charts Company . Retrieved 20 June 2018. ↑ 洋楽データベース. "Top Selling Singles" (in Japanese). Retrieved 25 December 2017. ↑ Oricon (26 December 1994). "Top Selling Singles" (in Japanese). Retrieved 25 December 2017. ↑ オリジナルコンフィデンス. 歴代洋楽シングル売り上げ枚数ランキング (in Japanese). 年代流行. Retrieved 25 December 2017. ↑ ""Last Christmas" erfolgreichster Weihnachtssong aller Zeiten - media control". Media-control.de. 13 December 2010. Retrieved 9 April 2012. ↑ "Die ganze Musik im Internet: Charts, News, Neuerscheinungen, Tickets, Genres, Genresuche, Genrelexikon, Künstler-Suche, Musik-Suche, Track-Suche, Ticket-Suche". musicline.de. Retrieved 9 April 2012. ↑ "Wham Chart History (Holiday 100)". Billboard . Archived from the original on 18 September 2015. Retrieved 2 January 2018. 1 2 Billboard Staff (25 November 2016). "What Are the Top-Selling Holiday Songs?". Billboard Magazine. Retrieved 2 December 2016. ↑ Trust, Gary (27 December 2016). "Wham! 's 1984 Classic 'Last Christmas' Makes First Hot 100 Appearance" . Retrieved 28 December 2016. 1 2 "Sverigetopplistan – Sveriges Officiella Topplista". Sverigetopplistan . Retrieved 1 January 2019. ↑ Kent, David (editor) (1993). Australian Chart Book 1970–1992. St Ives, New South Wales: Australian Chart Book. ISBN 0-646-11917-6. ↑ "Austriancharts.at – Wham! – Last Christmas" (in German). Ö3 Austria Top 40. Retrieved 3 January 2019. ↑ "Ultratop.be – Wham! – Last Christmas" (in Dutch). Ultratop 50. Retrieved 1 December 2017. ↑ "Wham! Chart History (Canadian Hot 100)". Billboard. Retrieved 31 December 2018. ↑ "ČNS IFPI" (in Czech). Hitparáda – Radio Top 100 Oficiální. IFPI Czech Republic. Note: Change the chart to CZ – RADIO – TOP 100 and insert 201351 into search. Retrieved 4 January 2019. ↑ "ČNS IFPI" (in Czech). Hitparáda – Digital Top 100 Oficiální. IFPI Czech Republic. Note: Change the chart to CZ – SINGLES DIGITAL – TOP 100 and insert 201851,52 into search. Retrieved 4 January 2019. ↑ "Track Top-40 Uge 50, 2018". Hitlisten . Retrieved 19 December 2018. ↑ "DUTCH SINGLE TOP 100: 22/12/1984". dutchcharts.nl. Archived from the original on 2 January 2017. Retrieved 2 January 2017. ↑ "Wham! : Last Christmas" (in Finnish). Musiikkituottajat – IFPI Finland. Retrieved 31 December 2018. ↑ "Lescharts.com – Wham! – Last Christmas" (in French). Les classement single. Retrieved 1 December 2017. ↑ "Offiziellecharts.de – Wham! – Last Christmas". GfK Entertainment Charts. ↑ "Internet Archive Wayback Machine". Archived from the original on 3 January 2002. Retrieved 9 April 2012. ↑ "Archívum – Slágerlisták – MAHASZ" (in Hungarian). Rádiós Top 40 játszási lista. Magyar Hanglemezkiadók Szövetsége. Retrieved 4 January 2019. ↑ "Archívum – Slágerlisták – MAHASZ" (in Hungarian). Single (track) Top 40 lista. Magyar Hanglemezkiadók Szövetsége. Retrieved 28 December 2018. ↑ "Archívum – Slágerlisták – MAHASZ" (in Hungarian). Stream Top 40 slágerlista. Magyar Hanglemezkiadók Szövetsége. Retrieved 28 December 2018. ↑ "Wham! Chart History". RÚV . Retrieved 7 November 2018. ↑ "Italiancharts.com – Wham! – Last Christmas". Top Digital Download. Retrieved 1 December 2017. ↑ "Indice per Interprete: W" (in Italian). Federation of the Italian Music Industry . Retrieved 8 January 2010. ↑ "Wham! Chart History (Japan Hot 100)". Billboard. Retrieved 1 December 2017. 1 2 "Japan #1 IMPORT DISKS by Oricon Hot Singles" (in Japanese). Oricon. 18.ocn.ne.jp. Archived from the original on 11 September 2010. Retrieved 24 January 2018. ↑ "Dutchcharts.nl – Wham! – Last Christmas" (in Dutch). Single Top 100. Retrieved 1 December 2017. ↑ "NZ Top 40 Singles Chart". Recorded Music NZ. 31 December 2018. Retrieved 28 December 2018. ↑ "Norwegiancharts.com – Wham! – Last Christmas". VG-lista. Retrieved 1 December 2017. ↑ "Listy bestsellerów, wyróżnienia :: Związek Producentów Audio-Video". Polish Airplay Top 100. Retrieved 28 December 2015. ↑ "Listy bestsellerów, wyróżnienia :: Związek Producentów Audio-Video". Polish Dance Top 50. Retrieved 19 December 2013. ↑ "Portuguesecharts.com – Wham! – Last Christmas". AFP Top 100 Singles. Retrieved 3 January 2019. ↑ "ČNS IFPI" (in Slovak). Hitparáda – Radio Top 100 Oficiálna. IFPI Czech Republic. Note: insert 201651,52 into search. Retrieved 4 January 2019. ↑ "ČNS IFPI" (in Slovak). Hitparáda – Singles Digital Top 100 Oficiálna. IFPI Czech Republic. Note: Select SINGLES DIGITAL - TOP 100 and insert 201850 into search. Retrieved 18 December 2018. ↑ "SloTop50 – Slovenian official singles chart". slotop50.si. Retrieved 24 December 2017. ↑ "The 53th Weekly Digital Chart in 2015 - Issue date: 20 December 2015 ~ 26 December 2015". Gaon Chart. Archived from the original on 1 January 2017. Retrieved 1 January 2017. ↑ "Spanishcharts.com – Wham! – Last Christmas" Canciones Top 50. Retrieved 1 December 2017. ↑ "Swisscharts.com – Wham! – Last Christmas". Swiss Singles Chart. Retrieved 31 December 2018. ↑ "Wham! : Artist Chart History". Official Charts Company. Retrieved 1 December 2017. ↑ "Wham Chart History (Hot 100)". Billboard. Retrieved 1 January 2019. ↑ "Wham Chart History (Adult Contemporary)". Billboard. Retrieved 1 December 2017. ↑ "Wham Chart History (Adult Pop Songs)". Billboard. Retrieved 1 December 2017. ↑ "Best of All Time – Singles". Austriancharts.at. Hung Medien. Retrieved 26 July 2014. ↑ "All-Time-Charts Deutschland" . Retrieved 26 October 2015. ↑ "ARIA Australian Top 50 Singles". Australian Recording Industry Association. 2 January 2017. Retrieved 31 December 2016. ↑ "Danish single certifications – Wham – Last Christmas". IFPI Denmark. Retrieved 19 December 2017. Scroll through the page-list below until year 2017 to obtain certification. ↑ "Gold-/Platin-Datenbank (Wham; 'Last Christmas')" (in German). Bundesverband Musikindustrie. ↑ "Greek single certifications – Wham – Last Christmas" (in Greek). IFPI Greece. ↑ "Italian single certifications – Wham – Last Christmas" (in Italian). Federazione Industria Musicale Italiana. Select "Tutti gli anni" in the "Anno" drop-down menu. Select "Last Christmas" in the "Filtra" field. Select "Singoli online" under "Sezione". ↑ "List of best-selling international singles in Japan". JP&KIYO. 2002. ↑ "New Zealand single certifications – Wham! – Last Christmas". Recorded Music NZ . Retrieved 28 December 2018. ↑ "Spanish single certifications – Wham! – Last Christmas" elportaldemusica.es. Retrieved 4 January 2018. ↑ "British single certifications – Wham – Last Christmas". British Phonographic Industry. Select singles in the Format field. Select Platinum in the Certification field. Type Last Christmas in the "Search BPI Awards" field and then press Enter. ↑ Leszczak, Bob (2014). Who Did It First? : Great Pop Cover Songs and Their Original Artists. Rowman & Littlefield. p. 36. ISBN 978-1-4422-3067-5. ↑ "Ultratop.be – Whigfield – Last Christmas" (in French). Ultratop 50. ↑ "Top 10 Denmark" (PDF). Music & Media. Retrieved 5 March 2018. ↑ "Whigfield: Last Christmas" (in Finnish). Musiikkituottajat – IFPI Finland. ↑ "Whigfield - Last Christmas" (in Dutch). top40.nl. Retrieved 2 April 2018. 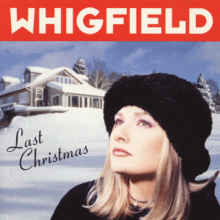 ↑ "Dutchcharts.nl – Whigfield – Last Christmas" (in Dutch). Single Top 100. 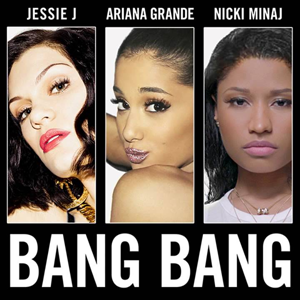 ↑ "Official Scottish Singles Sales Chart Top 100". officialcharts.com. Retrieved 3 July 2018. ↑ Billboard . Retrieved 4 March 2015. ↑ "Swedishcharts.com – Whigfield – Last Christmas". Singles Top 100. ↑ "Last Christmas (DMD Single): Ashley Tisdale: MP3 Downloads". Amazon.com. Retrieved 9 April 2012. 1 2 "Amazon.com: Last Christmas (DMD Single): Ashley Tisdale: MP3 Downloads" . Retrieved 4 March 2015. ↑ Amazon.com. "He Said She Said (European Single)". Amazon . Retrieved 20 July 2008. ↑ "Billboard.biz: Ashley Tisdale". Billboard. Retrieved 20 January 2017. ↑ "Musicline.de – Cascada Single-Chartverfolgung" (in German). Media Control Charts. PhonoNet GmbH. ↑ "Austriancharts.at – Cascada – Last Christmas" (in German). Ö3 Austria Top 40. 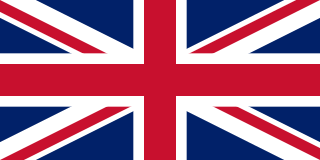 ↑ "Chart Log UK" . Retrieved 4 March 2015. ↑ "Disco Defenders - Special Edition". ↑ "Last Christmas" . Retrieved 4 March 2015. ↑ Joe McElderry announces new album 'Classic Christmas' Digital Spy . Retrieved on 31 October 2011. ↑ Behind The Scenes at Joe's Classic Christmas Winter Wonderland! Decca Records on YouTube. Retrieved on 21 December 2011. ↑ Joe McElderry - Last Christmas iTunes Store . Retrieved on 7 November 2011. ↑ Joe McElderry - Last Christmas (7th Heaven Remixes) iTunes Store . Retrieved on 11 December 2011. 1 2 "Last Christmas – Single by Ariana Grande". iTunes Store . Apple . Retrieved 19 November 2013. 1 2 Menyes, Carolyn (19 November 2013). "Review: Ariana Grande reworks Wham! classic 'Last Christmas' for first holiday single [LISTEN]". Music Times. Retrieved 31 December 2015. ↑ Lipshutz, Jason (19 November 2013). "Ariana Grande Updates 'Last Christmas' For First Holiday Release: Listen". Billboard . Prometheus Global Media . Retrieved 31 December 2015. ↑ "Ariana Grande Chart History (Japan Hot 100)". Billboard. Retrieved 5 December 2014. ↑ "Discografie Ariana Grande". dutchcharts.nl (in Dutch). Hung Medien. Retrieved 7 June 2014. ↑ "2013년 49주차 Digital Char". Gaon Chart . Retrieved 18 September 2017. ↑ Zywietz, Tobias. "Chart Log UK: New Entries Update – 30.11.2013 (wk47)". zobbel.de. Tobias Zywietz. Retrieved 7 June 2014. ↑ "Ariana Grande Chart History (Adult Contemporary)". Billboard. Retrieved 23 December 2015. ↑ "Ariana Grande - Chart History: Holiday 100". Billboard . 5 December 2014. Retrieved 5 December 2014. ↑ "Ariana Grande – Chart History: Holiday Digital Song Sales". Billboard . 5 October 2017. Retrieved 5 October 2017. ↑ "Ariana Grande – Chart History: Holiday Streaming Songs". Billboard . 5 October 2017. Retrieved 5 October 2017. ↑ Wass, Mike (20 November 2015). "Carly Rae Jepsen Is Back In The Studio Working On New Music". Idolator . Spin Media . Retrieved 31 December 2015. 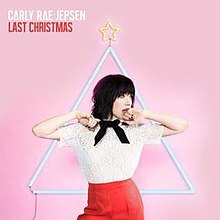 ↑ "Last Christmas - Single by Carly Rae Jepsen". iTunes Store (Canada). Apple Inc . Retrieved 30 December 2015. 1 2 "Last Christmas - Single by Carly Rae Jepsen". iTunes Store (US). Apple Inc . Retrieved 20 November 2015. ↑ Weiner, Natalie (20 November 2015). "Listen to Carly Rae Jepsen's Cover of 'Last Christmas'". Billboard . Prometheus Global Media . Retrieved 31 December 2015. ↑ Gracie, Bianca (20 November 2015). "Carly Rae Jepsen Covers Wham! 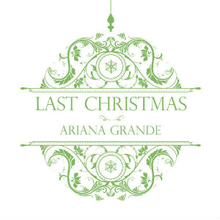 's "Last Christmas": Listen". Idolator . Spin Media . Retrieved 31 December 2015. ↑ Feeney, Nolan (20 November 2015). "Christmas Came Early With Carly Rae Jepsen's Delightful Cover of 'Last Christmas'". Time . Time Inc. Retrieved 31 December 2015. ↑ McHenry, Jackson (20 November 2015). "Carly Rae Jepsen's Cover of 'Last Christmas' Will Help You Ring in the Holiday Season". Vulture . New York Media . Retrieved 31 December 2015. ↑ Vincenty, Samantha (20 November 2015). "Carly Rae Jepsen Covers Wham! 's Classic 'Last Christmas'". Popcrush. Townsquare Media . Retrieved 31 December 2015. ↑ Daw, Robbie (3 December 2015). "Carly Rae Jepsen's "Last Christmas" Performance At Rockefeller Center Tree Lighting: Watch". Idolator . Spin Media . Retrieved 31 December 2015. ↑ Williott, Carl (17 December 2015). "Watch Carly Rae Jepsen Do "Last Christmas" On 'The Late Late Show'". Idolator . Spin Media . Retrieved 31 December 2015. ↑ "Ultratop.be – Carly Rae Jepsen – Last Christmas" (in Dutch). Ultratip. Retrieved 2 January 2016. ↑ "Ultratop.be – Carly Rae Jepsen – Last Christmas" (in French). Ultratip. Retrieved 2 January 2016. ↑ "Dutchcharts.nl – Carly Rae Jepsen – Last Christmas" (in Dutch). Single Top 100. Retrieved 31 December 2015. ↑ "Swedishcharts.com – Carly Rae Jepsen – Last Christmas". Singles Top 100. Retrieved 30 December 2015. ↑ "Chart Search". Billboard Holiday Digital Songs for Carly Rae Jepsen. Retrieved 30 December 2015. ↑ "Taylor Swift, Chart History". Billboard. Billboard. Retrieved 25 November 2017. ↑ Thorpe, Vanessa (14 December 2008). "Alexandra pours heart and soul into winning song". The Observer . Retrieved 3 December 2018. ↑ Trust, Gary (16 June 2010). "'Glee': A Record-Setting Freshman Year". Billboard . Nielsen Business Media . Retrieved 15 June 2010. ↑ "Last Christmas". Billboard . Nielsen Business Media . Retrieved 6 September 2010. ↑ "The Puppini Sisters, 'Last Christmas'". November 26, 2010. Retrieved January 25, 2019. ↑ Truitt, Brian (24 December 2015). "Wham! Have yourself a retro Postmodern Jukebox 'Last Christmas'". USAToday . Retrieved 26 December 2016. ↑ Aniftos, Rania (November 16, 2018). "Ally Brooke Covers the Wham! Classic 'Last Christmas': Listen". Billboard. Retrieved January 25, 2019. Other navigation templates related to "Last Christmas"
"Love Me & Let Me Go"
"Crazy Frog in the House"
"Blame It on the Disco"
"Young Guns (Go for It)"
"Wonderful Dream (Holidays are Coming)"